The short answer is as much as you can get and a good rule of thumb is to have a R-value of 38 in your attic. What form of heating system do you have? The latter question has less bearing on how much insulation you need but is still important to consider. Oak Ridge National Laboratory in Tennessee conducted a study to determine the effects that different heating sources had on the insulative properties within a house. In their study they compared six different types of heating sources: natural gas, oil furnace, electric furnace, electric baseboard, heat pump and LPG furnace. Their findings were fairly universal regardless of the location of the home. Homes with heat pumps required less insulation (although it may be better stated as retained more heat) than the other varieties followed by natural gas. The remaining sources of heat all required similar amounts of insulation to be as efficient. For example, a home in Chicago with a heat pump may only need insulation equating to an R-value of 38, while a similar home in Chicago with electric baseboard will need insulation equating to an R-value of 49. Where you live carries a much greater weight than the heat source you have. 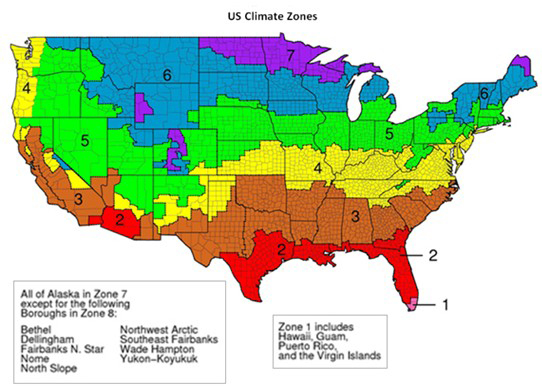 The EnergyStar program has divided the US into 8 zones, ranging from Miami, FL (Zone 1) to Nome, AK (Zone 8). 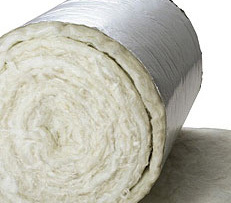 Once you've determined the R-value of insulation you need to decide which type of insulation you will use. Depending on type, you will need somewhere between 10 and 18 inches of insulation to meet the recommended insulation values.